Liability Law Report is the highly focused, monthly newsletter that delivers timely coverage of important lender liability cases and events, combining reliable reports and expert analysis in a way that helps you avoid or reduce liability while mitigating the chance of litigation. 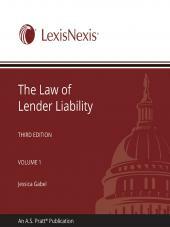 Creditors can become subject to substantial liability for a variety of actions in the normal course of business. 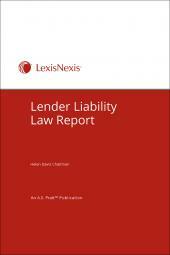 Lender Liability Law Report provides expert analysis, summaries of current court cases, and techniques on how to avoid and defend against potentially disastrous lawsuits brought by borrowers. 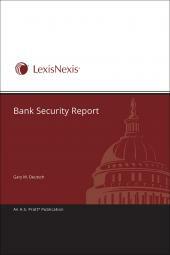 This eBook features links to Lexis Advance for further legal research options. 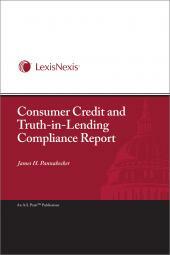 Helen Davis Chaitman coined the term lender liability in the early 1980s and has been involved in some of the seminal decisions defining the obligations of financial institutionsparticularly in the area of good faith and fair dealing. 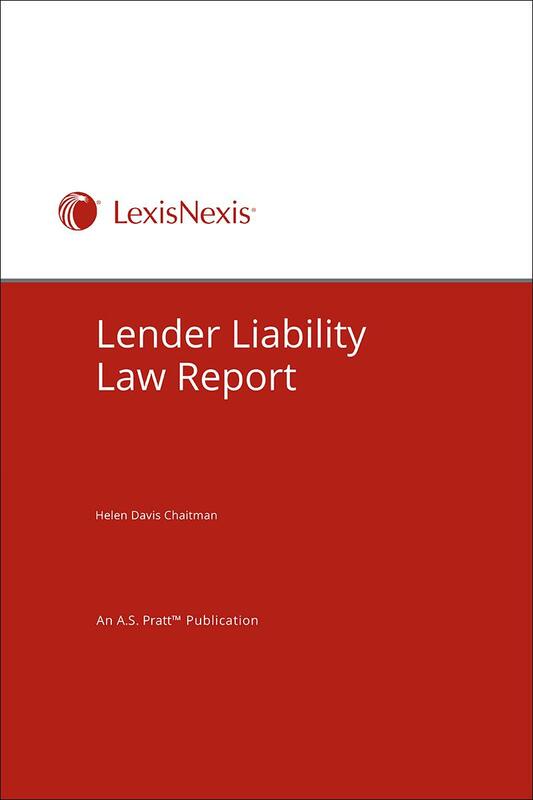 She is the author of the Law of Lender Liability, published by Warren, Gorham & Lamont (1990) and has written the Lender Liability Law Report since 1987. Ms. Chaitman is a partner at Chaitman LLP (see chaitmanllp.com ) and is a nationally recognized expert in the area of bank litigation. Ms. Chaitman has been ranked among the nations top 10 litigators by the National Law Journal for a jury verdict she obtained in an accountants malpractice case. She has successfully handled all kinds of litigation-she has prosecuted RICO claims; she has defended banks in claims for breach of contract, conversion, and fraud; she has represented borrowers against banks on claims for breach of contract and fraud; represented banks and borrowers in suits involving guaranties of corporate debt; and counseled banks in bankruptcy proceedings and in litigation against the Office of the Comptroller of the Currency. Ms. Chaitman has also represented several corporate debtors in Chapter 11 cases that were successfully reorganized. Since 2009, Ms. Chaitman has represented approximately 1,600 former Madoff customers in litigation against the Madoff Trustee and other parties. She has testified twice in Congress on behalf of Madoff victims seeking clarification of the Securities Investor Protection Act. 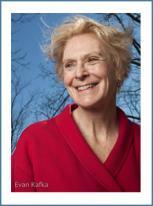 She is the co-author of JPMadoff: The Unholy Alliance Between Americas Biggest Bank and Americas Biggest Crook.  See http://www.jpmadoff.com .